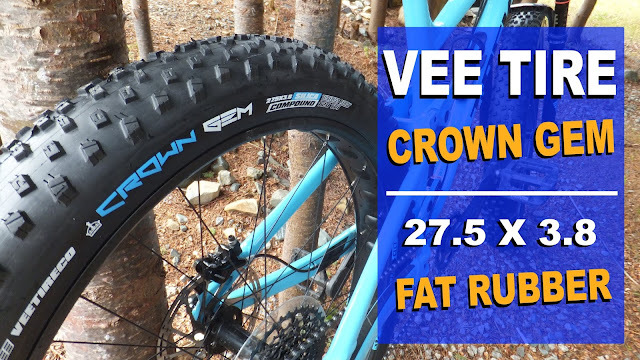 In 2016 a new company entered the growing fatbike tire market. 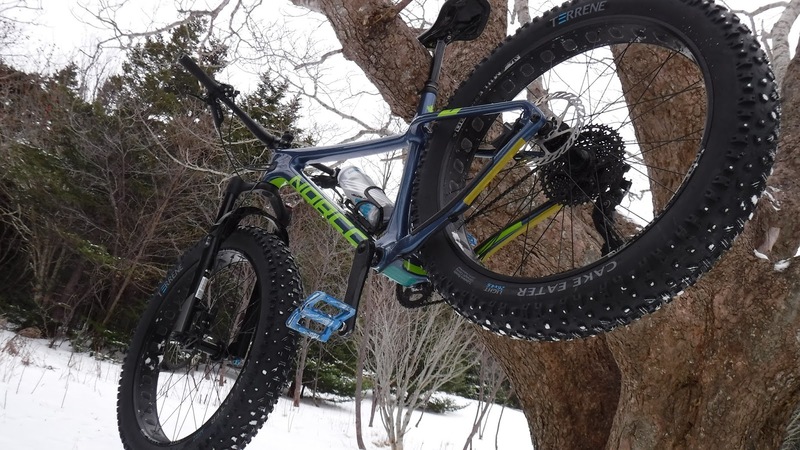 Terrene, with offices in Monana and Minnesota, offered up an intriguing tire called the Wazia. It was available in a 26 x 4.0 and 26 x 4.6, studded and unstudded, with a choice of light or tough casing. 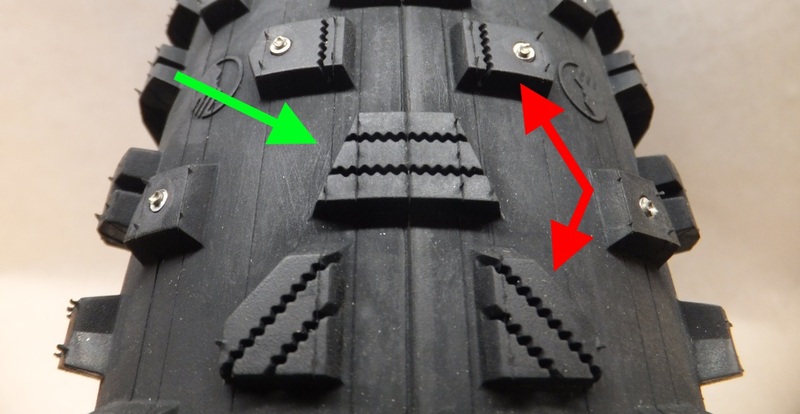 As an option for the tire, Terrene developed a very unique tri-point “crown” stud - more on that later. 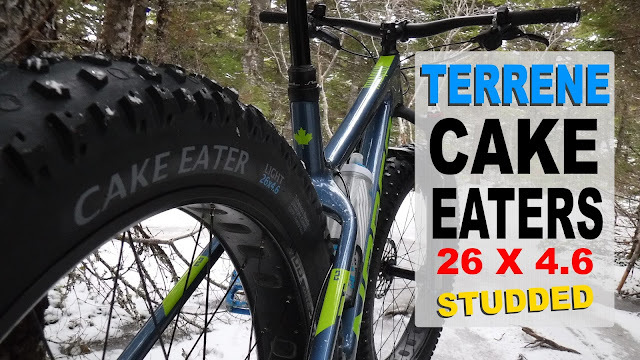 For the 2017/2018 winter season Terrene expanded their fatbike tire options with a race inspired and studdable rubber donut called the Cake Eater. 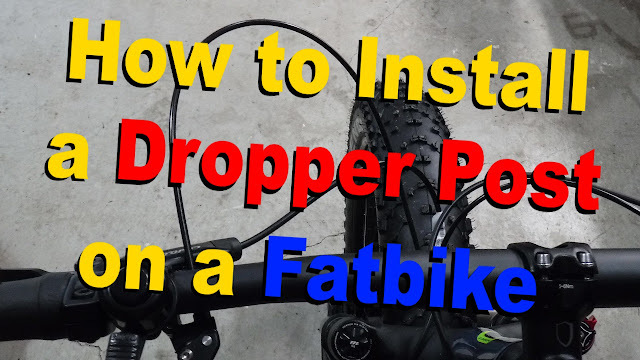 Be sure to check out the video below - or click HERE. Terrene describes their new tire . . . The Cake Eater is available in several sizes and rim diameters. 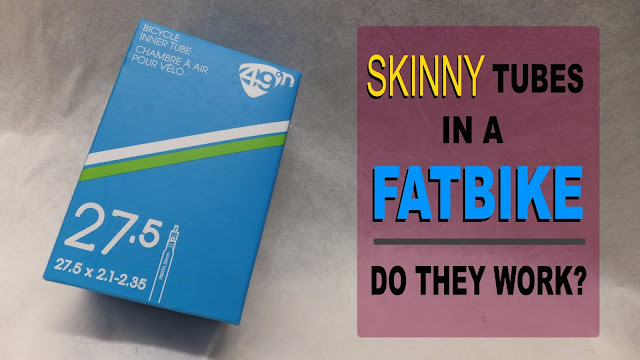 For the traditional 26” wheelset there is a 26×4.0 and 26×4.6, while for the newer 27.5 wheels there is a 27.5×4.0 and a semi-fat 27.5×2.8. All are tubeless ready, directioal and come with an ultra tough Aramid fiber bead. 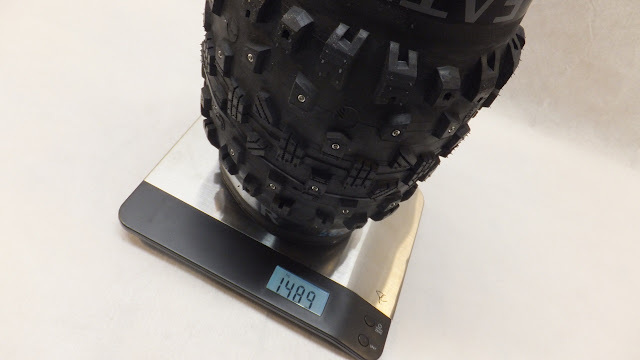 The 26” tires are available in a light casing (120 TPI) with studded (Triple Traction) and non-studded versions available. 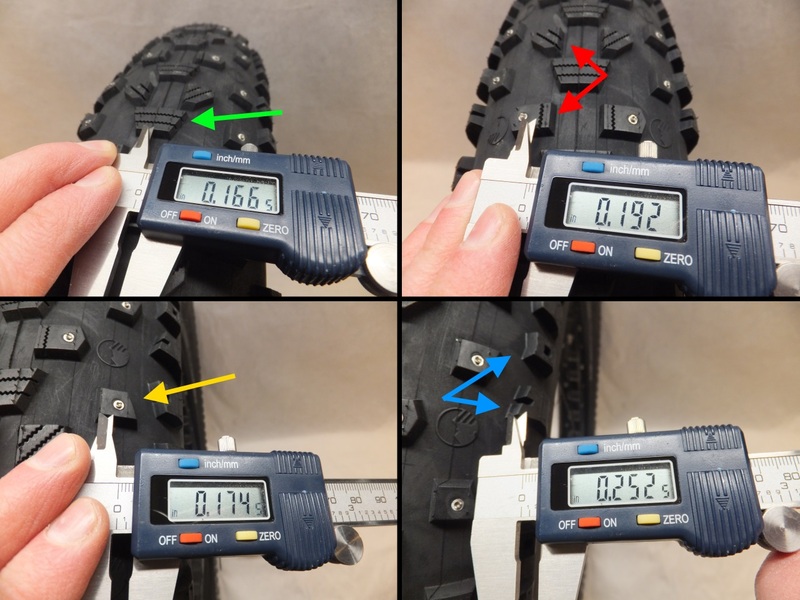 The 27.5 x 4.0 are available with the 120 TPI casing and Triple Traction studs if you need the additional traction. 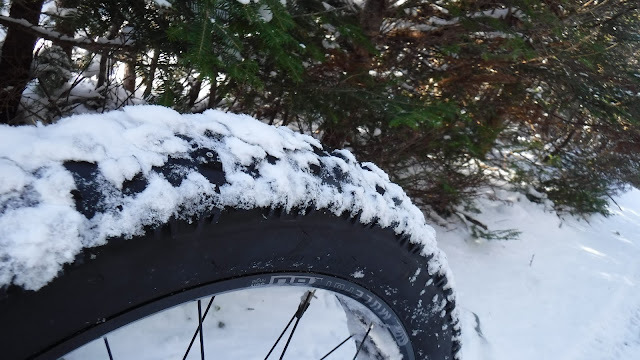 Rubber compound for all Terrene’s fatbike tires is a relatively supple 60a which is similar to a car tire compound. For comparison purposes a pencil eraser has a hardness of 40A and a running shoe is 70A. Running down the center of the tire are chunky, square edged, horizontally siped trapezoidal lugs (GREEN). These are flanked by alternating diamond and rectangular shaped lugs, with the rectangular lugs containing the first row of studs (RED). These first row transitional lugs are both siped, with the diamond sporting diagonal sipes and the rectangular having one vertical sipe. The second row transitional lugs are entirely studded, with the square edge knobs mirroring themselves in between a raised Terrene logo (YELLOW). 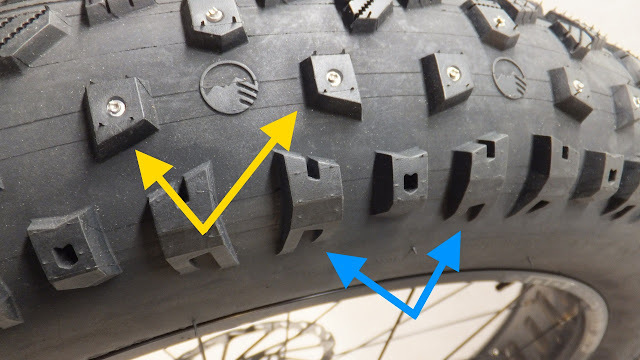 The shoulder lugs on the Cake Eaters are very prominent and tend to creep more onto the sidewall than other fatbike tires - which may be a blessing or a curse (BLUE). Maybe it’s just me, but the stylistic design of the side knobs look like chunky “O’s” and “H’s”. The claimed weight of the 4.6 Cake Eaters is 1525g, but when dropped on the scales they are a little skinnier at 1489g. 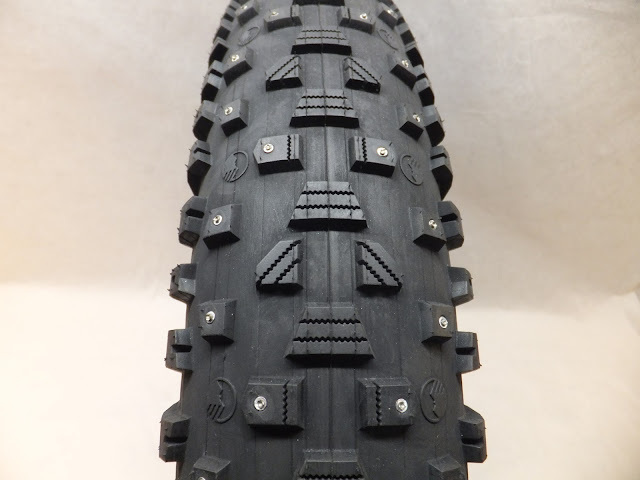 This is still lighter than some other 5” studded fatbike tire offerings. 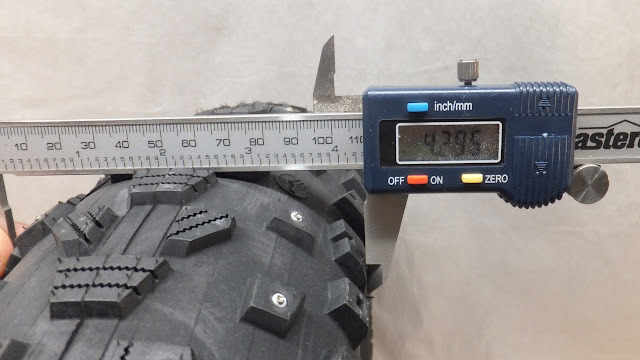 Mounting the Cake Eaters up to 80mm rims (8 psi) they measure in at 4.3” which is slightly under their stated width of 4.6” – this is consistent with most fatbike tires on the market. Tread depth is as follows: center (0.166), first transitional (0.192), second transitional (0.174), and shoulder (0.25). With the center contact patch being shallower than the other lugs the Cake Eaters should theoretically roll rather quick, especially with it relatively round profile. Terrene have developed a very unique stud for their fatbike tires – it’s called a Triple Traction or "crown" stud. Manufactured with an aluminum base and a concave tungsten carbide tip, it looks like a standard concave stud that has been further machined to give three very pointed gripping edges. This is one serious looking stud. 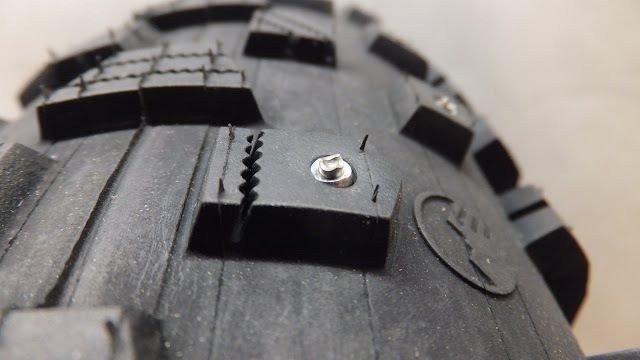 While most manufacturers run 240 – 260 studs in their 5” tires, Terrene actually integrated stud placement into their tire design and dialed the number back to 180 placing the studs where they need to be for the most traction. 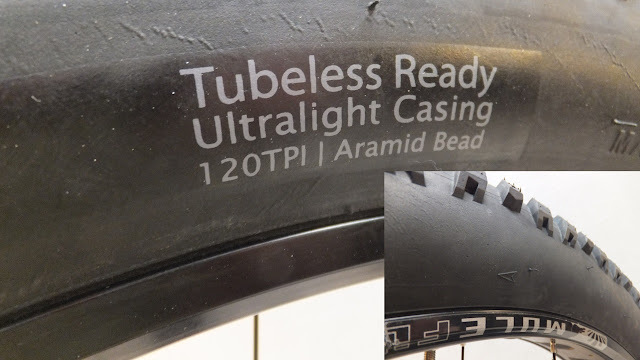 Less studs also means a slightly lighter tire. 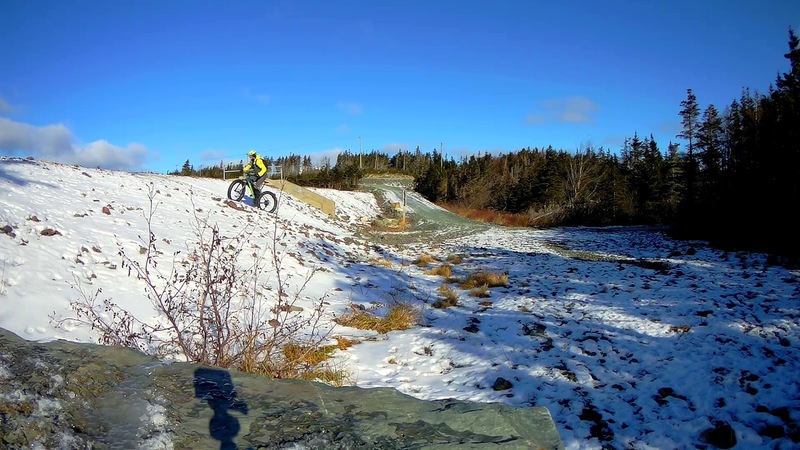 This winter season was particularly odd in my neck of the woods, with temperatures all over the place, making for some pretty interesting riding conditions. 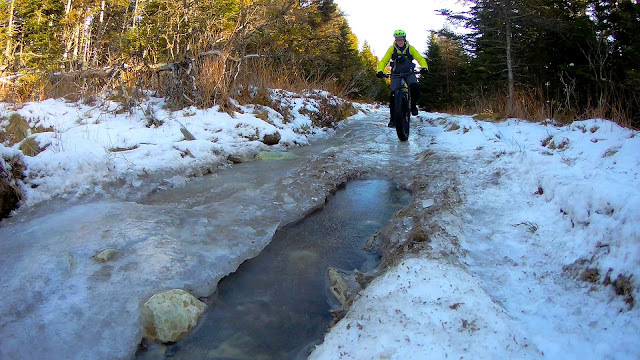 Most seasons I’m able to do a significant amount of lake riding, but this year it was reduced with a lot of icy and slippery conditions showing up on the trails. When running tires in the winter my preferred pressure for snow conditions (soft and groomed) is around 4-6 psi. 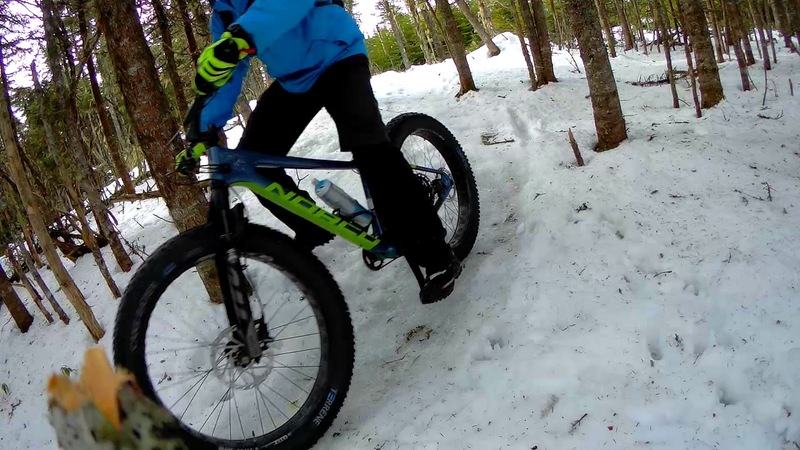 The softer the snow the lower the pressure. I generally bump up the psi to 8-10 if conditions are hard packed or showing some rock and root exposure. 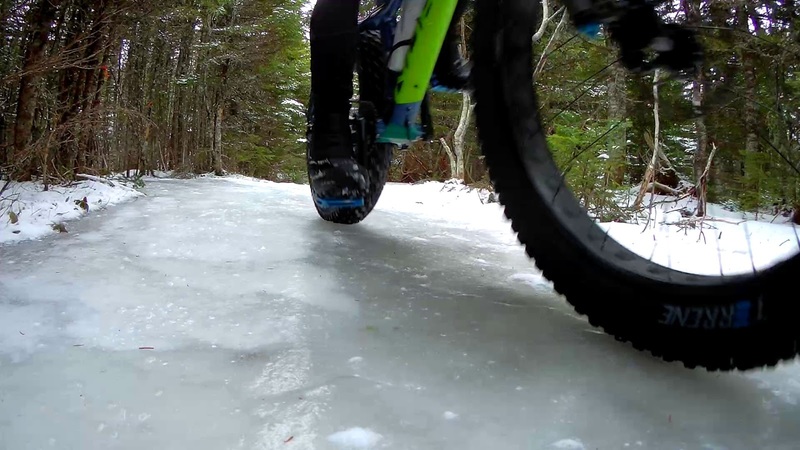 With pure ice riding I’m normally back to the lower psi so as to increase the contact patch. The test mule for the Cake Eaters was a 2018 Ithaqua 2S sporting a Mastodon. 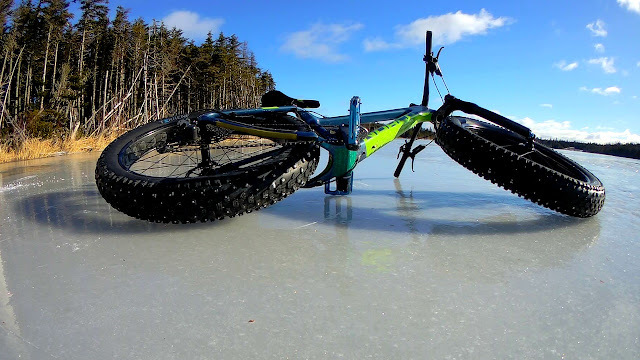 Normally I’m ok with not running a suspension fork during the winter months, however with the heavier than normal ice conditions the front squish was appreciated. 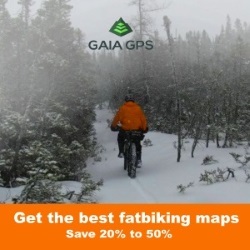 The first outing with the Cake Eaters was a non-technical ride (the day after a few inches of snow) on a railbed that hugged the Atlantic ocean. With a solid crushed stone base and a higher psi the Cake Eaters carved the fresh snow quite easily. 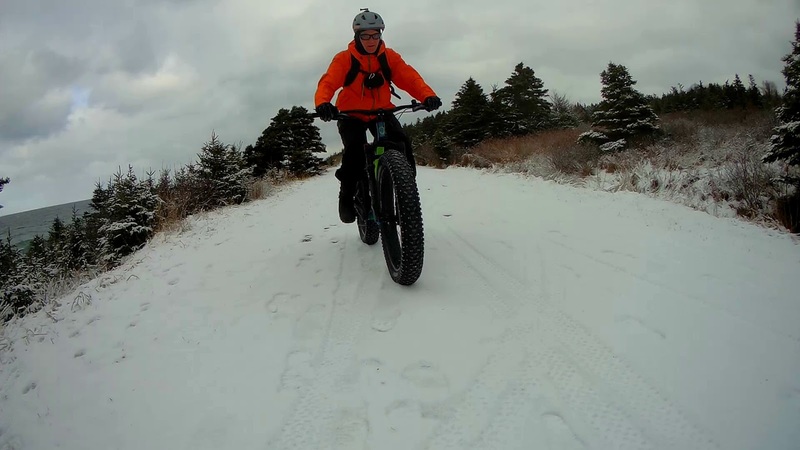 On the way back, riding in the compacted snow, the tires gave me a hint of their preference by rolling significantly more quickly – they like to go fast. 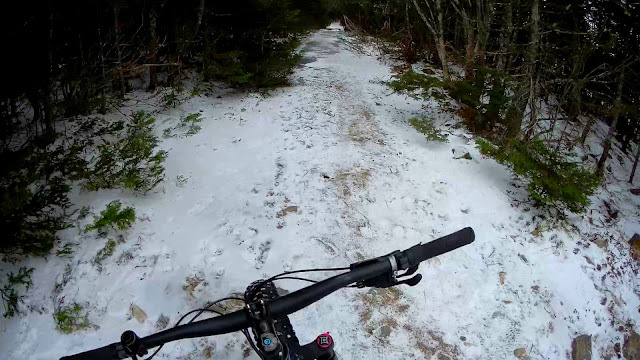 Over the next several months I encountered a mess of different trail conditions with an emphasis towards hard packed snow and ice. 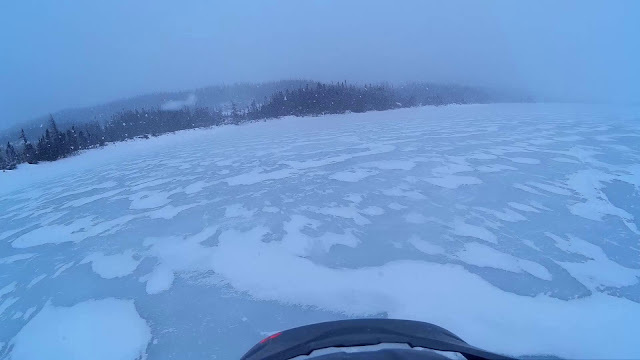 There was also a sprinkling of virgin white fluffy riding and situations where the underlying tundra (roots and rocks) peeked through the snow. 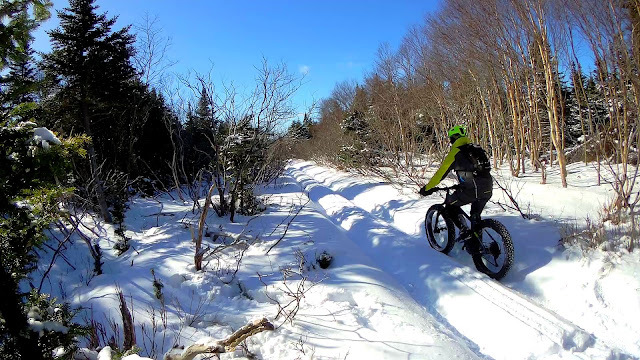 Carving through the tightly wooded single track, the Cake Eaters stuck to the ice when needed and broke free when wanting to do a little drifting. Leaning into the turns I could definitely feel the aggressive side lugs digging into the trail – whether snow, ice or dirt – keeping the Ithaqua moving forward. Glare ice, chunky ice or crusty crystallized ice, the Cake Eaters did an admirable job with maintaining traction. With 25% less studs than comparable 5” tires I was expecting a significant decrease in ice etiquette, however the only thing I really noticed was the need for a little finesse when taking off from a dead stop on glare ice. Ice maneuvering and stopping were done with confidence. 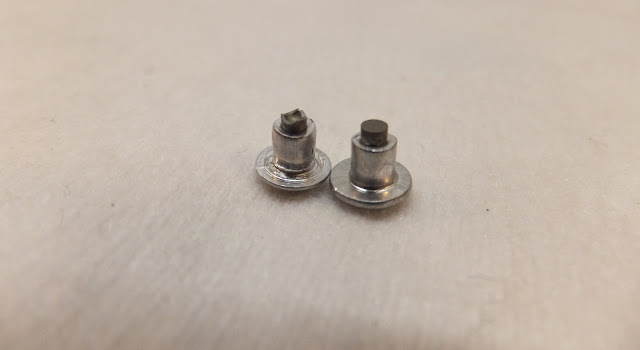 I’m thinking that the design of the "crown" studs, coupled with the incredible amount of siping, actually compensated for the fewer number of overall studs. I was surprised that the Cake Eaters were not aggressive in trying to crawl out of tire ruts. 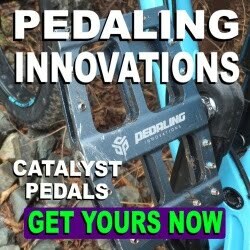 When riding in a track I was expecting the side lugs to latch on to any available edge and try to pull themselves out of the rut that I was trying to stay in. They did hint at wanting to escape, but it was nothing a minimal course adjustment couldn’t fix. 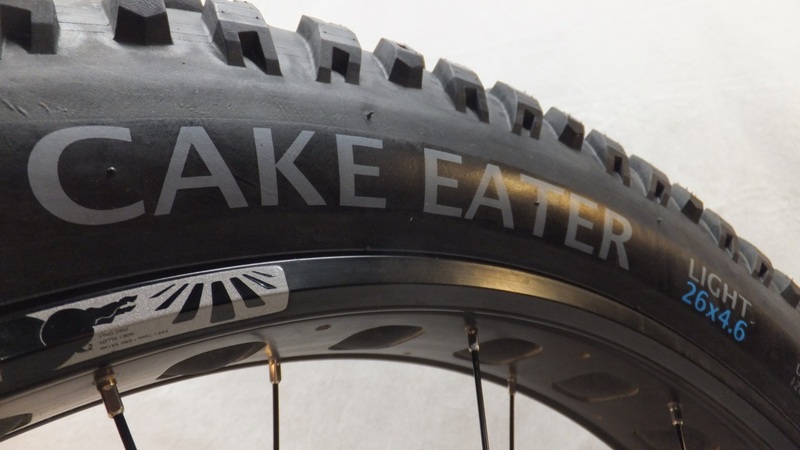 The open tread design of the Cake Eaters practically eliminated any snow build-up on the tire. There were only two instances where snow actually stuck to the tire, and that was after a solid dunking in water followed by rolling in lightly packed snow. Tapping the white donuts with my foot removed the offending white stuff. These tires can also climb. On a couple of rides I encountered short steep snow covered climbs, and the Cake Eaters dug in and powered me and the Ithaqua 2S to the top. Several times during the review I noticed snow and ice particles actually embedded in the sipes - which clearly demonstrates that siping does actually work. 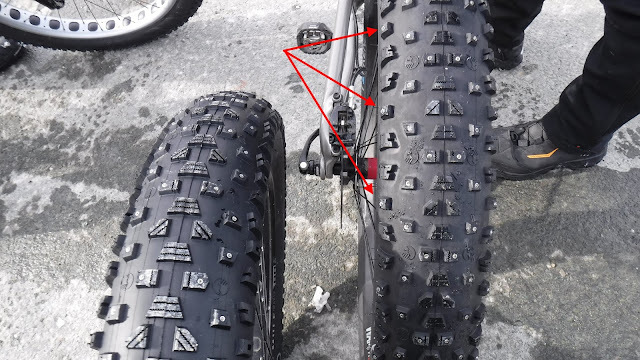 All fatbikers with studded tires know that you are going to loose a couple of studs throughout the season. During the several hundred kilometers of testing, the Cake Eaters failed to give up any studs. And that includes riding some dirt, stumps and rocks, all of which are certified stud magnets. I was pleasantly surprised. While out on the trails I came across another fattie sporting Cake Eaters, but the studded 27.5 x 4 version. What they had done was augment the existing studs with additional studs in the holes located in the shoulder lugs. While not proper pocketed holes, the studs seemed to fit but looked a little odd. I’m unable to confirm if that setup gave additional traction, but I did clarify with Terrene that the holes in the shoulder lugs are not for studs. As spring approached and the snow and ice disappeared, I felt a little disappointed I couldn't get more time on these tires. Cake Eaters are fun! 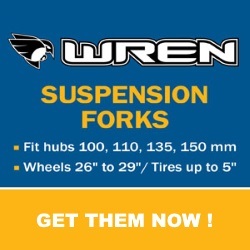 The shallow center lugs allow them to run quick, with the heavy shoulder lugs providing extra traction when cornering. 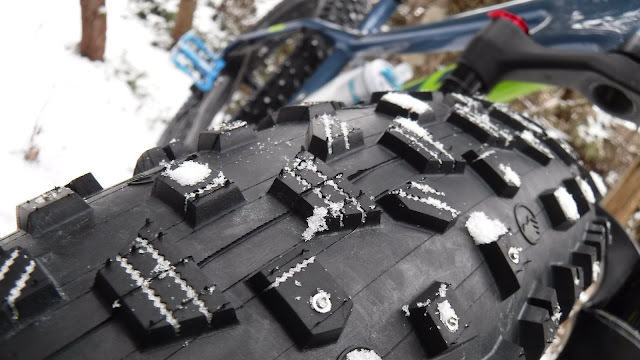 And for slippery conditions the Triple Traction "crown" studs, coupled with the heavy siping, give the Cake Eaters ample grip on ice. 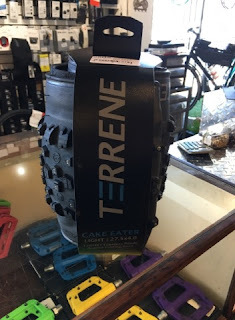 It's clear that the folks at Terrene put significant thought into the design of the Cake Eater. It is a very solid winter fatbike tire that should not be overlooked. And for added versatility, Terrene also offer Stud Plugs that can replace the tungsten carbide tip studs with rubber plugs for summer riding. This could theoretically make the Cake Eater a true four season tire.